Sue Compton has been CEO since 2007, and has been at Axis for over 29 years. Prior to her position as CEO, she served as the Associate Executive Director, Assistant Director, and consultant. 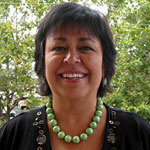 Sue received her MHS at the University of San Francisco and a BS in Nursing at Duke University. She was a member of Congressmen Jerry McNerney’s Health Advisory board from 2007 to 2011 and part of the steering committee for the Tri-Valley Needs Assessment in 2011. Sue’s previous experience includes serving as the Outpatient Department Director at Children’s Hospital in Oakland, California; Pediatric Supervisor at Milwaukee Medical Clinic in Wisconsin; and Public Nurse at Beaufort County Health Department in South Carolina. Preston DuFauchard served on the Board of Directors for the West Oakland Health (WOH) from 2015 to 2018. After three years on the Board of Directors for WOH he stepped down to become WOH’s Interim CEO. In his short time as WOH’s Interim CEO, he has stepped up and worked closely with the Executive Team on multiple projects that help keep WOH thriving. In addition to his executive responsibilities Mr. DuFauchard also serves on the Board of Trustees of PennyMac Mortgage Investment Trust, where he chairs the Risk Committee, and serves on the Finance and Related Party Matters committees. From 2015 to 2017 Mr. DuFauchard was General Counsel for Robertson Stephens LLC and also served as California Corporations Commissioner between 2006 and 2011. Mr. DuFauchard graduated from UC Berkeley School of Law in 1984, and Stanford University in 1979, where he majored in Anthropology. Ms. Jane García has l ed La Clínica de La Raza since she became CEO in 1983 and the strength of her leadership is apparent when looking at the organization itself. La Clínica has grown from a $2 million dollar project to an over $92 million dollar institution. La Clínica employs over 800 staff and serves over 74,000 patients across 30 sites in Alameda, Contra Costa and Solano Counties. La Clínica is one of the largest community health clinics in the state of California. Ms. García is an advocate and activist with a passion for preserving community health care for all residents regardless of ability to pay. Her commitment to community health care has been recognized on numerous occasions. The most recent of which include La Clínica’s recognition as a “Public Health Hero-Organizational Hero Award” from UC Berkeley’s School of Public Health and Ms. García’s recognition by the San Francisco Business Times as a Healthcare Hero in the Community Impact category. Ms. García received a Bachelor of Arts from Yale University and a Masters in Public Health from the University of California at Berkeley. For 35 years, Sherry M. Hirota has worked to improve the health of underserved communities by diversifying the health care workforce. Chief Executive Officer of Asian Health Services (AHS) since 1982. Hirota has been instrumental in advancing the concepts of linguistic and cultural competence. Under her leadership, the AHS budget has increased from $100,000 to $20 million and the number of staff has increased from nine to 200, 99% of whom both speak English and at least one additional language. As an advocate and pioneer in the Asian American and Pacific Islander health movement, Sherry has national experience and expertise in public policy and advocacy, and has played a critical role in the establishment of language and cultural competence standards in managed care. She has served as an adviser to Congressional leaders on health issues ranging from eligibility criteria for indigent care population-based medically underserved designations, strategies for urban health policy, language access standards, and stabilization of core infrastructure funding for community-based organizations. In addition to her executive responsibilities at AHS, Sherry’s professional and community affiliations include: Emerita Board Member of The California Endowment, appointed member of the Advisory Committee on Research on Minority Health, and member of the Advisory Board of the Bureau of Primary Health Care’s National Center for Cultural Competence. She served as Health Chair of the Dellums Commission: Expanded Pathways of Young Men of Color, Chair of the Workforce Committee of the California Primary Care Association, board member of the Community Health Centers Network and Chair of the Board of Directors of the Alameda Health Consortium. Marty Lynch has been the Director of LifeLong Medical Care and the Over 60 Health Center since 1982, and a non-profit administrator for over 30 years. Lynch received a PhD in Social and Behavioral Sciences from the University of California, San Francisco and an MPA from the Kennedy School of Government at Harvard. In addition to health administration, Lynch is involved in public policy and research activities related to health access for the uninsured, long term care models, chronic care, and financing care for disabled populations. Lynch is also a Lecturer at the University of California, Berkeley. Zettie D. Page, III, M.D., Ph.D., Chief Executive Officer (CEO), joined Tri-City Health Center (TCHC) in January 2013. He is a former FQHC CEO with a career focused on increasing access to care while decreasing disparities in healthcare through stabilizing and transitioning community health centers as primary safety net providers within their service areas. He has over 20 years of experience working with FQHCs and recently served as CEO for Salud Para La Gente in Watsonville where he led organizational expansion from 13 to 23 sites, a strengthening of governance, revision to the strategic plan, and implementation of an electronics record system. He also secured nearly $8 million in grants to improve clinics. Dr. Page worked as an Executive Director of Plains Medical Center in Limon, Colorado. Dr. Page speaks fluent Mandarin, holds a doctorate of medicine in general medicine, a doctorate in social work, and three Masters Degrees in Social Work, Health Education and MBA. He has retired from 36 years of military (reserve) service as a Colonel. Dr. Page is currently the Chairman of HHS’s National Advisory Council on Migrant Health, a member of the board of directors for the CA School Based Health Clinics Association and a well-known leader working with agencies on transformational change. His leadership experience and track record of successfully delivering organization stability is key for Tri-City Health Center to sustain its mission and services to the community in the new health care environment. David B. Vliet came to Tiburcio Vasquez Health Center with over 18 years of experience in practice management and health services administration. For the past 7 years, he served as the CEO of Central Texas Community Health Centers, Inc., managing 20 delivery sites and over 500 employees. He was appointed to the National Association of Community Health Centers’ Board of Directors as a regional representative for the gulf and southwestern regions while also serving on the Board of Directors for the Texas Association of Community Health Centers. As Chief Executive Officer of the Native American Health Center (NAHC), a community-based nonprofit organization with an all Indian Board of Directors. Martin Waukazoo has boldly addressed health disparities and loss of culture for American Indians living in the San Francisco Bay Area. He has provided leadership in building and sustaining successful medical, dental and behavioral,health programs that integrate state-of-the-art professional care with cultural values, traditions and services. Raised in Rapid City, South Dakota, Martin was an High School All-American basketball player and earned a scholarship to attend Black Hills State University. He graduated in 1973 and relocated to the San Francisco Bay Area. An enrolled member of the Rosebud Sioux Tribe, Waukazoo was raised in a family of activists. As CEO of NAHC since 1982, Martin has built a thriving health care delivery system grounded in traditional Native American culture. There were precious few resources to help urban Indian people overcome diabetes, obesity, alcoholism, substance abuse, mental illness and violence. NAHC consists of state-licensed community clinics in Oakland and San Francisco, an outreach center in Richmond, and seven school-based clinics in Alameda County. Services include AIDS prevention, WIC, mental health, substance abuse, health education, traditional Native American healing, and a youth program. Since 1982, NAHC has increased its annual budget from $800,000 to $23 million. The number of staff has increased staff from 17 to 250 employees. In 1984, Marty oversaw the acquisition of a 4-story human service building in the Fruitvale District in Oakland. In 2007 he organized the funding and construction of 7 Directions, a beautiful new 26,000 square foot medical and dental facility with 38 units of family affordable housing built above, and is currently building a state-of-the-art medical facility, Many Directions, in the Mission District of San Francisco. These facilities, owned by NAHC, provide a solid foundation for sustainability for the Indian community. Martin’s work has a major impact in improving the quality of life for Native Americans in the San Francisco Bay Area. NAHC serves people in Alameda, San Francisco and Contra Costa counties and is a magnet for Indians seeking services informed by American Indian Culture. Martin is founder of the San Francisco Community Clinic Consortium. Martin has established community clinics in Fresno and Sacramento. 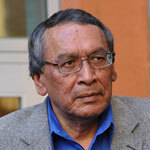 He is the founder of the California Urban Indian Health Consortium. Martin Waukazoo has testified on the needs of urban Indians before the US Senate Subcommittee on Indian Affairs. NAHC is a national leader in offering holistic, culturally appropriate prevention programs. Martin has made a significant impact in health, education, and community development.